Rebecca can’t sleep. The moon is at a perfect angle to a tree just outside her kitchen window. The shadow on her floor is beautiful. She pretends it’s a theatre gobo and other insomniac characters from famous plays join her. Rebecca’s Mother is dying. Lighting up the night-time are memories of her non-conformist Mother’s life and of her own childhood in the politically dynamic 1970’s and 80’s. She creates a dreamscape in which she tries to find her Mother in an imagined afterlife but has her access barred by a heavenly bureaucrat. Rebecca attempts to soften the crushing blow of grief through imagination but sleep eludes her and the other insomniac characters are not faring well as they face up to the truth. 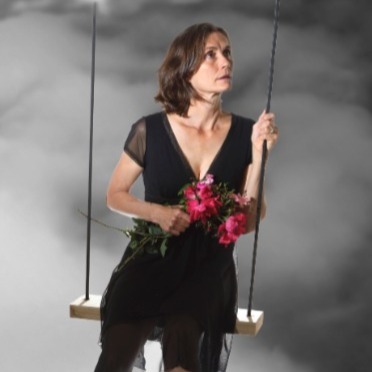 Once There Was a Woman is a 50 minute solo performance by Beth Kayes which evokes this story of love and loss through monologue, diverse characters, physical theatre, comedy, and minimalist set. Once There Was A Woman won 'Judges Special Commendation For Performance' at the Auckland Fringe Awards 2017. Kayes is a charismatic performer...melding her adeptness with physical theatre with the poetry of her script. It’s a gentle, sensitive performance...filled with the wonder and ambiguity of Kayes’ work. Theatre Scenes Blog: March 1, 2017, Reviewed by Andrew Parker.